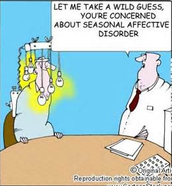 SAD or seasonal affective disorder is a form of depression that recurs regularly at certain times of the year, usually beginning in late fall or winter and lasting into spring. It causes changes in routine and mode. 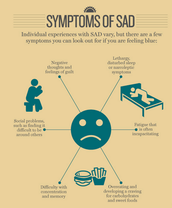 Scientists believe SAD is caused by biochemical change in the brain, triggered by shorter days and reduced sunlight during winter. The reduced sunlight causes more serotonin and melatonin chemicals to be produced in the brain. Melatonin regulates sleep and the higher the level you have of it, the sleepier you become. I the United States, adults 18-30 are up to a 20% risk of SAD. Who is at Risk? Signs and Symtoms? To get diagnosed doctors run tests and ask questions like if your schedule has changed drastically lately, and if your are sleeping more frequently, or if you aren't doing your regular activities. To get treated you can get traditional psychotherapy or antidepressant medication. There is also the option of light therapy which is about 30 min. 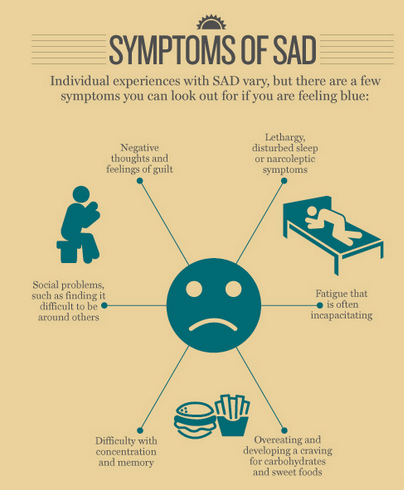 A myth about SAD is that lots of people think its synonyms with depression but its not. Another one that people think is true is that SAD is cause by the cold but the cold doesn't cause it. 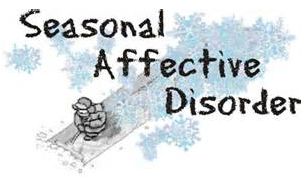 Related disorders are Depression and Bipolar.